As a sought-after professional speaker and highly successful business owner, John Stix sums up his guiding principle in two words – Chain Reaction. John truly believes that those who are aligned with their mission in life create a series of events that affect everyone they encounter. 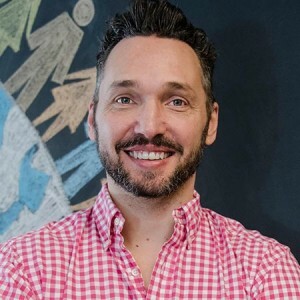 John has personally seen it happen in his own business where he gained a wealth of experience taking start-ups to enterprise level organizations and figuring out innovative ways to keep all employees highly engaged and onboard. John is co-founder of Fibernetics, one of the largest telecom companies in the country with points of presence coast-to-coast, supporting hundreds of thousands of Canadians with their telecommunications needs. As President of Fibernetics, John oversees an international team of telecom professionals including a branch in the Dominican Republic. John firmly believes that great companies are founded on great culture. He had the vision to not only realize a new culture was needed at Fibernetics – he also constructed and implemented the plan. John is completely committed to what makes a great company become incredible. As a professional speaker, he shares the secrets of his phenomenal business success with other organizations that want to become exceptional.